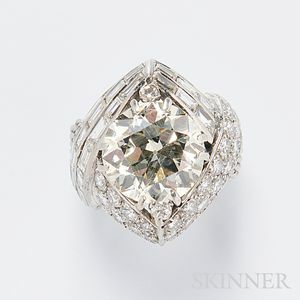 Platinum and Diamond Ring, Sterle, Paris, set with an old European-cut diamond weighing approx. 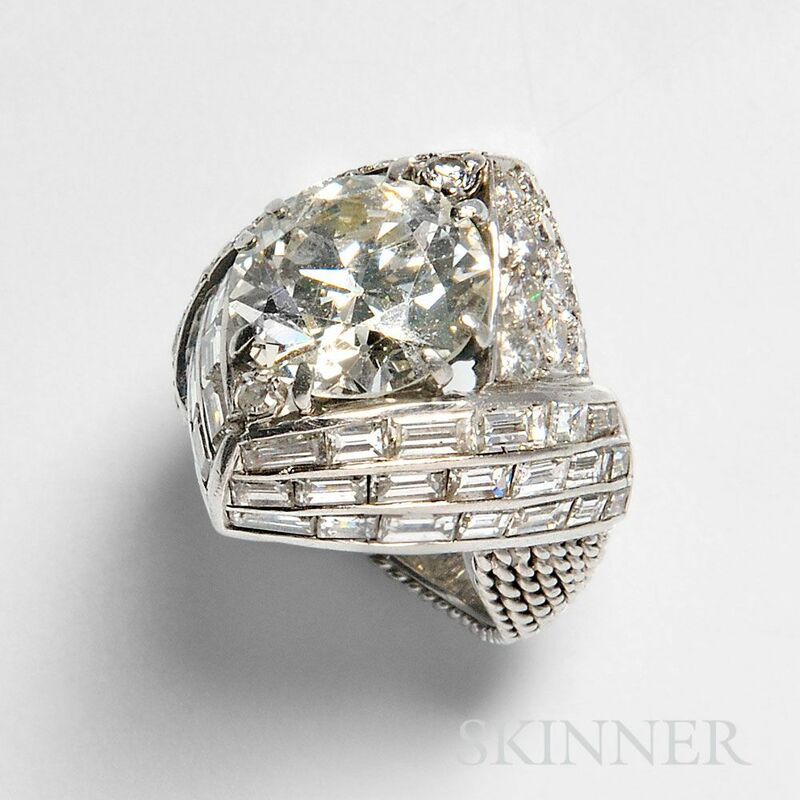 6.00 cts., within a shaped mount set with full- and baguette-cut diamonds and ropework shank, size 5, no. 8643, signed. 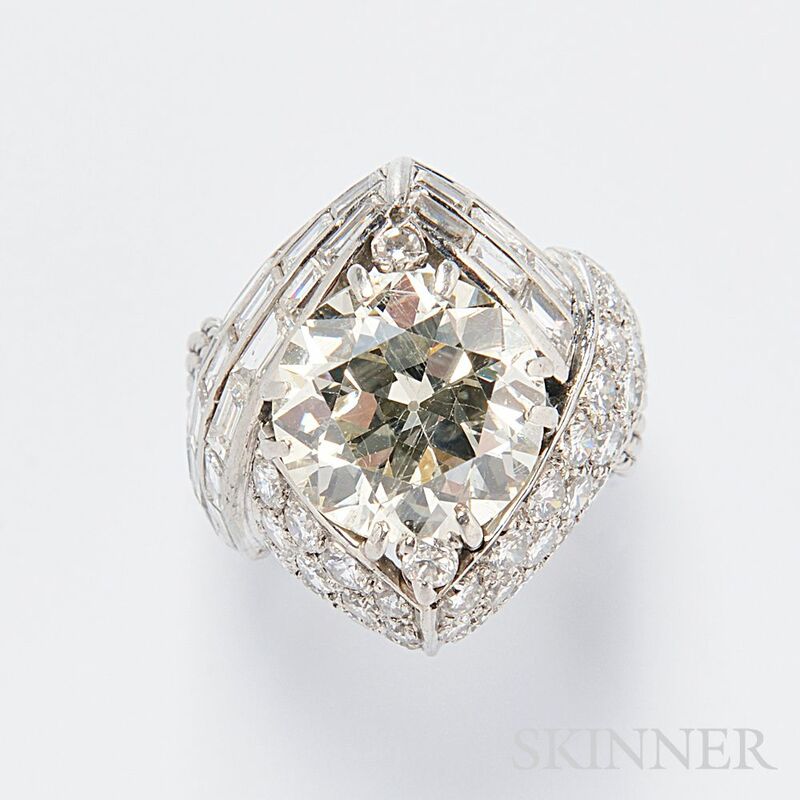 The center stone is approximately NOP/lt yellow in color and SI2 in clarity, and contains a few small nicks to the girdle. There is evidence of old and oxidized solder visible to underside of prongs, not noticeable when worn. 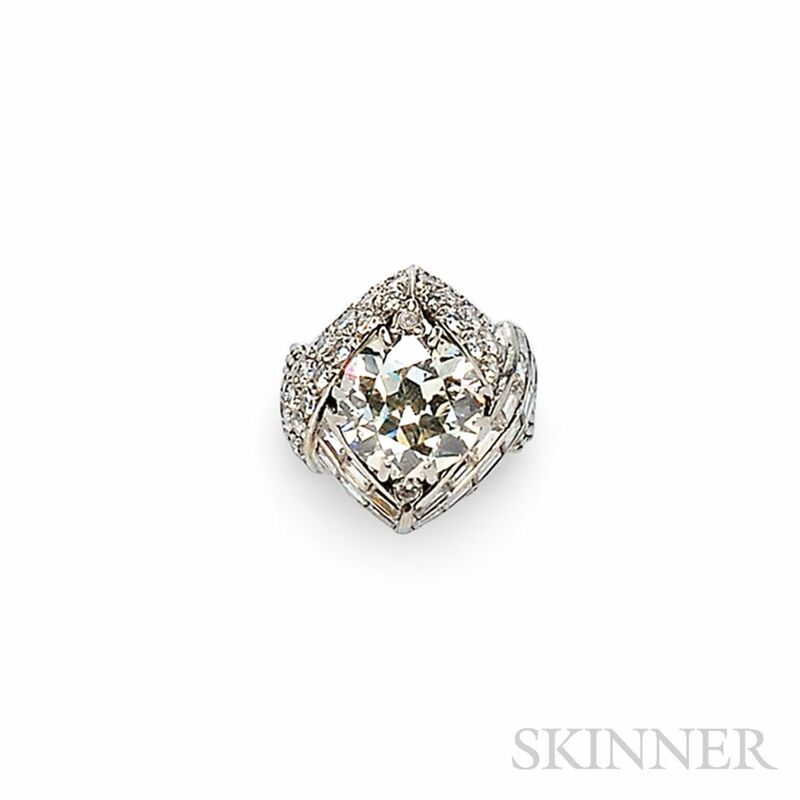 The diamonds in the mount are bright and lively and face up white. The side stones are mostly VS, a few SI. A couple with small girdle nicks, only visible under magnification. Minor wear overall. There is one prong missing to round diamond at 12 o'clock, which is a single cut diamond. The diamond at 6 o'clock is a full cut. 18kt Gold "Love Knot" Necklace, Tiffany & Co.
18kt Gold and Enamel Cuff Links, Schlumberger, Tiffany & Co.
Two 18kt Gold Rings, Tiffany & Co.